A judge this week issued a tentative ruling that Michael Jackson's mother can move forward with her lawsuit contending that the promoters of Michael Jackson's never-realized London concerts negligently hired Dr. Conrad Murray as the singer's personal physician. Los Angeles Superior Court Judge Yvette Palazuelos said she also is leaning toward tossing aside all other claims that could hold AEG Live liable for Jackson's death. Defense attorneys had moved for dismissal of the entire complaint, saying that two years of litigation failed to show the company or its executives did anything wrong. Palazuelos took the issues under submission and did not say when she would issue a final ruling. The entertainer was set to perform a string of 50 shows dubbed ``This Is It,'' but he died on June 25, 2009, at age 50, of acute propofol intoxication at his rented home in Holmby Hills while rehearsing for the concert series. 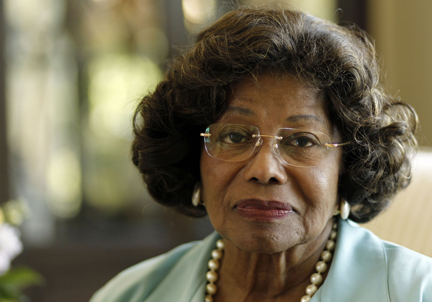 Katherine Jackson sued in September 2010 on behalf of her son's three children, Michael Jr., Paris-Michael Katherine and Prince Michael, claiming that the company picked Murray to be pop star's personal physician. Murray was convicted of involuntary manslaughter in Jackson's 2009 death and was sentenced in November 2011 to four years in the Los Angeles County men's jail. AEG Live attorney Marvin Putnam maintained his clients never hired Murray and that he, in fact, had been one of many doctors who had treated the singer in the past. He said after the hearing that he was pleased with the work Palazuelos did in preparing her tentative ruling and that he was hopeful she would conclude that the negligent hiring claim also should be dismissed. Plaintiffs' attorney Kevin Boyle declined to comment after the hearing. He said during arguments that AEG Live, in allegedly hiring Murray, gave little consideration to red flags showing that the doctor was in debt and was not a board-certified cardiologist. Putnam said most doctors are not board-certified and that the fact that he was in debt was irrelevant. Putnam also said Jackson had a drug problem for years before he entered into any agreements to perform on behalf of AEG Live. Palazuelos also said in her tentative ruling that she is leaning toward dismissing Timothy Leiweke, AEG Inc.'s president and chief executive officer, and that company as defendants. Defense attorneys maintain AEG Inc. and AEG Live are two separate entities. Boyle maintains that the two companies' interests are intertwined. Leiweke stated that he had preliminary talks with Jackson and his manager in the fall of 2008 about a potential tour deal. He said he did not talk with the singer about any medical treatment and that he never had any conversations with any of the entertainer's physicians. The tentative ruling would keep Paul Gongaware, Co-Chief Executive Officer of Concerts West (a division of AEG Live) and AEG Live President and Chief Executive Officer Brandon Phillips in the case, which is scheduled for trial April 2. Gongaware stated in his sworn declaration that he never told Jackson or any of his doctors what medications the singer should take.